Board Composition. The Adult Parole Board is an independent agency that reports directly to the governor. The board consists of seven members appointed by the Governor and approved by the Executive Council. Members serve five-year terms, and may serve no more than two consecutive terms. 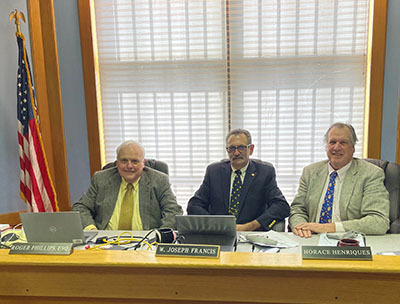 By law, three board members must preside over each hearing. The board is part-time, which means that members report for duty only when scheduled for hearings. Board members are always available to issue arrest warrants for parole violators, and to consult with parole officers regarding problem cases. The standard parole conditions that apply to all parolees can be found in the Adult Parole Board's Administrative Rules. Section 401.02.